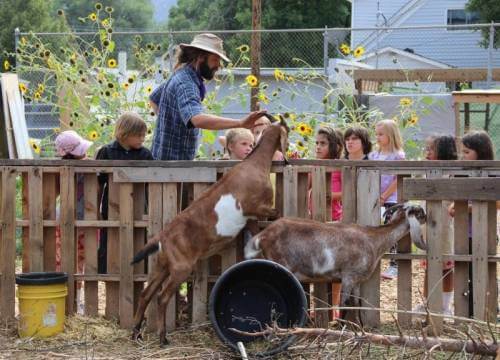 Residential, community and school gardens across the city are all benefiting from the rich natural composted manure that Ranch Foods Direct distributes through the annual Poopapalooza event and by special arrangement. Since Scott Wilson started managing the garden at District 11’s Galileo School of Arts and Science in February, more than 100 new beds have been added. He and Christine Faith, an urban homesteader and former science teacher at the school, are meshing the garden project with the curriculum as well as with district food services and with a farmers’ market operated by the student garden club at the nearby Colorado Springs Senior Center.